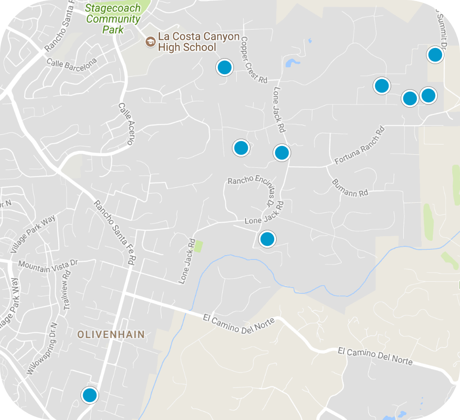 San Diego Home Sales website search offers all Olivenhain homes, condos and foreclosures for sale. You are able to get new property listings daily that meet your search criteria. A district within the city of Encinitas, the community of Olivenhain is semi-rural and is located in the eastern part of the community, stretching from San Elijo Lagoon in the south to the northernmost parts of Lone Jack Road. The community lies near to the Encinitas Golf Course and south of the La Costa Country Club. 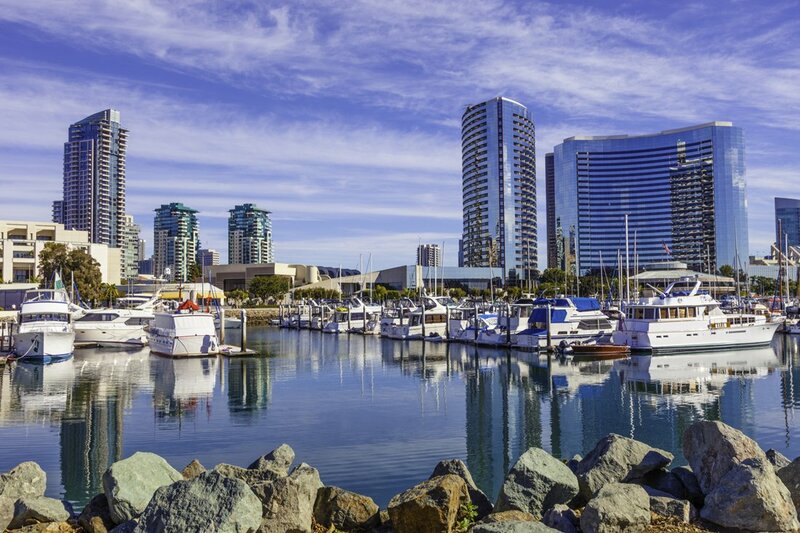 It is also very near to the Batiquitos Lagoon and lies about 25 miles north of San Diego and about 95 miles south of Los Angeles near the Pacific coast. Encinitas itself has a population of about 60,000, with residents being measured in 2005 by the San Diego Association of Governments to have risen to more than $86,500. The community is full of fences, trails for hiking and horseback riding and bicycle paths. It also has a policy limiting outdoor lighting, ensuring clear views of the sky from anywhere. Olivenhain was established by a group of German immigrants and it incorporated into Encinitas in 1986 along with four other communities. Today it has about 1,500 homes, with a capacity of just over 1,600 homes. Its parks include Wiro Park, Little Oaks Park and Sun Vista Park. The community also maintains its own town council. Events celebrated in Olivenhain include a Beer and Bratwurst festival in the spring, a Halloween party in October, a craft fair in November and a holiday party in the winter. Public grade schools in the city are overseen by the San Dieguito Union High, the Cardiff and the Encinitas Union school districts. There are two visual arts schools, several private and charter high schools, like San Dieguito Academy, Grauer School and Pacific Academy, and private middle schools like Encinitas Country Day School and the Rhoades School. Mira Costa College's San Elijo campus is in Encinitas and provides a community college base. Bordering Rancho Santa Fe and South Carlsbad, Olivenhain (pronounced Oh-LEE-ven-hine) is one of five communities that incorporated in 1986 to form the City of Encinitas. This low density community is comprised of about 1500 homes on lots that average two acres, with a projected build out of 1616 homes total. Characterized by two-lane winding roads lined with eucalyptus trees, trails for horses, bicycles, and pedestrians, and the "Dark Skies" policy, which limits outdoor lighting, Olivenhain is a rural heaven that is fiercely protected residents.